For the past three years on the BSG site,1 I spent countless hours preparing for the NBA trading deadline — sifting through cap numbers, matching up teams, concocting fake trades and so on — for my annual “Trading Deadline Suggestions” column. You might remember last year that I threw myself a little too into it; I started seeing cap figures on the back of player’s jerseys and stuff. Fortunately a few sessions with my psychiatrist cleared everything up. The point? My hard work never paid off because none of my brainstorms ever happened. (Nobody listened to me! How dare they?) You might remember that only one deal was pulled off last February — Atlanta acquired Anthony Johnson for a #2 pick — and all the hoop junkies who spent hours mulling over fake trades felt cheated. With the constraints of the salary cap and the preponderance of untradeable players with “spit out soda all over your computer when you see the numbers” contracts, nobody swings major trades anymore. To read all of Bill Simmons’s NBA Trade Value columns since 2001, click here. Hey, I wish Phoenix and Seattle would swap Jason Kidd and Cliff Robinson for Gary Payton, Desmond Mason and a #1 as much as the next NBA fan. I wish the Celts and Hornets could agree on a “team cancer” trade of Derrick Coleman and Kenny Anderson. I’m hoping the Sixers ship Toni Kukoc and Theo Ratliff for Dikembe Mutombo (as Peter Vecsey reported might happen). I’d love to see the Bulls pull the trigger on an “Elton Brand, Jamal Crawford and Marcus Fizer for Shareef Abdur-Rahim and Mike Bibby” trade. I’d probably do a backflip if the Lakers and Mavs swapped Kobe Bryant for Dirk Nowitzki and Michael Finley. Alas, none of that stuff ever seems to happen. They can smell it. Iverson seized the NBA conch at the All-Star Game — nobody on the league can guard him at crunch-time. And no group of players gives a better, more consistent effort than the Sixers; they seem to hunt down every loose ball and stray rebound. It’s a 21st-century NBA super-team — one superstar and a bunch of supporting players giving 110% — and they might even win the freaking title this season unless San Antonio’s perimeter guys start making some jumpers soon. So why tinker with something that’s working? It’s simple: Going from Ratliff to Mutombo is an upgrade. Ratliff’s good, especially when he’s matched up against most of the stiffs in the East, but he’s not that good. Who would you rather have protecting the paint and guarding Shaq/Duncan/Webber in the NBA Finals, Ratliff or Mutombo? It’s a no-brainer. Mutombo has always been one of those guys who looks better when his supporting cast is better — witness that 22-rebound performance in the All Star Game — and the fact that he’s never really been there can’t be overstated. If you’re a championship-caliber team, you always like trading for older stars who haven’t won anything yet — they’re always inspired, they always raise their games and their enthusiasm always infects everyone around them. Mutombo would do that for the Sixers. And if they could land him for Ratliff, Kukoc and Nazr Mohammed, that’s a great deal… even if get stuck with Chris Crawford in the process. One more thing on this trade: If Mutombo landed in Philly, that would be fun. He’s more interesting than Ratliff. From a fan’s standpoint, you should be rooting for this one to happen. Just for comedy’s sake, we have to list them here. Poor MJ. You know he’s calling every GM in the league right now saying, “Have you seen that Mitch Richmond’s heating up? 17.4 points per game this month! He’s available! Any interest? Any at all?” And is there a stranger situation than the Rod Strickland debacle? You know the story by now: They’re moving, they’re cutting costs and everyone’s available (the lesson, as always… the NBA’s decision to expand to Canada was right up there with New Coke and Rocky V). Unfortunately, the Grizz screwed things up by rolling off a five-game winning streak over the past week, which might make the Grizzlies hesistant to trade here. 1. Shareef is probably untradeable because of his contract (back in ’99, he signed a $70.9 million deal through 2005); only the Bulls and Clippers could take his contract without giving back an equal salary (within 15%, according to NBA rules). No way either of those teams gives up Elton Brand or Lamar Odom for Shareef; he’s just not in that class (more on this later). If they really wanted to dump Shareef, they could deal him for a veteran whose contract expires after the season, like Mutombo, Patrick Ewing, Arvydas Sabonis or the Shawn Bradley–Christian Laettner combo in Dallas. That would be the equivalent of waiving a white flag and saying “We give up!” Can’t see it happening. 2. Bibby might be the most intriguing player on the trading block; he’s never played on a good team and you just get a sneaking suspicion that he would raise his game on the right team in the right situation. For instance, what if Sacramento, Chicago and Vancouver swung a three-team deal in which the Bulls ended up with Bryant Reeves and White Chocolate (remember, they’re way under the cap), the Kings ended up with Bibby and the Grizzlies ended up with Brad Miller, Hedo Turkoglu and Jamal Crawford? I think Bibby would thrive in a good city on the right team; remember the way he carried Arizona in the NCAA’s years ago? Again, the last two paragraphs were probably a waste of time. The Grizzlies won’t swing a deal unless somebody says, “Hey, is Bryant Reeves available?” And just for the record, Reeves has been averaging 10 points and 7 rebounds a game for the past month – Portland should offer Sabonis for him in a heartbeat. What do they care? They’re already $40 million over the cap as it is. Would you rather have Reeves or Sabonis guarding Shaq in the playoffs next spring? Plus, how many DWI’s is Mrs. Sabonis capable of getting in Canada? MRS. SABONIS IS BEHIND THE WHEEL AGAIN! RUN FOR YOUR LIVES! They piss me off. Only the Knicks could trade Erick Strickland (someone who wasn’t even playing for them) and a crappy #1 pick for Othella Harrington, a serviceable body who probably ends up being their best power forward this spring. How does this happen? They keep offering the same crap around the league (Kurt Thomas, Chris Childs, Glen Rice, Pat Cummings, Ken Bannister, Stacey Patton) and hoping to land Mutombo, Payton or whomever. And they probably will land someone before it’s all said and done because David Stern wears a Knicks jersey to bed every night. In this case, they have an interesting bargaining chip: Allan Houston, a borderline go-to guy who could carry a team for a few games in the playoffs. As an added wrinkle, he can opt out of his contract after the season. What if they swapped him to Portland for Dale Davis, Bonzi Wells and cap-fillers? Or Minnesota for Terrell Brandon? Considering the Knicks are involved, they’ll probably land Gary Payton and Desmond Mason for Houston and Kurt Thomas (or something equally outrageous). Gary Payton needs to go. Period. Over the last few months, he crossed that invisible line of “Am I frustrated or am I subtly trying to force my way out of here?” with some of the stuff he pulled — yelling at teammates during games, showing up his coach and so on. Anyone with Direct-TV can see that Payton’s been mailing it in all season; he should wear a curly red wig and write sports columns for the Boston Globe in his spare time. And all of it’s understandable. All of it. He’s competitive and he doesn’t like playing for a mediocre team. At this stage of his career, GP’s only good enough to make a 30-win team a 40-win team… he doesn’t make the Sonics a fringe contender like he did in the past. He would wield a far greater impact as a second banana on a team with an established superstar — like Portland, Minnesota, or Sacramento — and he would raise his game accordingly. For instance, let’s say Minnesota offered them Terrell Brandon, Wally Szczerbiak and cap fillers for Payton. You’re telling me Payton wouldn’t be rejuvenated woofing it up with Kevin Garnett every night? 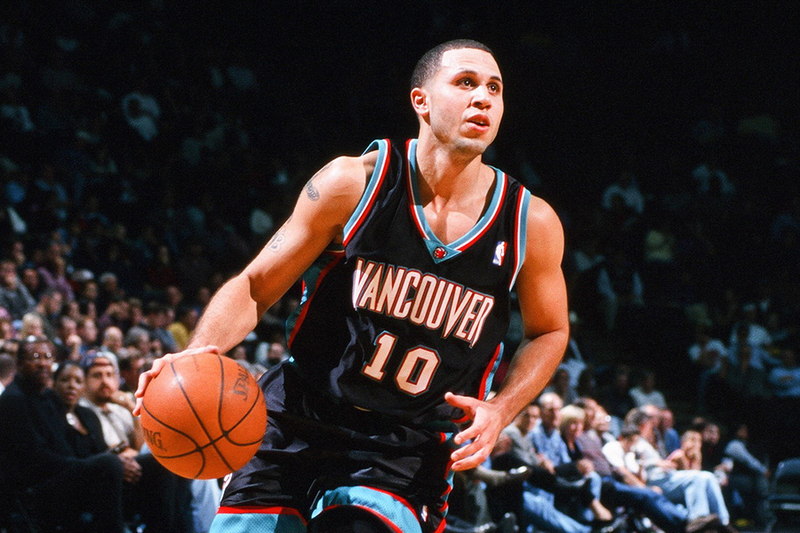 The no-brainer trade here, obviously, is Damon Stoudamire for Payton. Not only do the salaries match up, not only would Payton thrive in Portland, not only would Stoudamire be better off playing for a fringe playoff team that allows him to dominate the offense every night… but putting Payton with Rasheed Wallace, Scottie Pippen and Shawn Kemp makes this the Crazy Team of All-Time. Let the technicals begin! Shaq and Kobe can’t play together anymore. They hate each other. It’s obvious. That whole “alpha dog” battle will never end, EVER, not until one of them is traded. But the Lakers don’t have the balls to swing a deal now… they’ll wait until the team stumbles in the playoffs, the finger-pointing escalates and public opinion reaches “One of these guys has to go!” status. So who’s leaving? Probably Kobe. 1. Shaq will start dropping “I’ll retire before I play with this freakin’ guy for another year” hints. 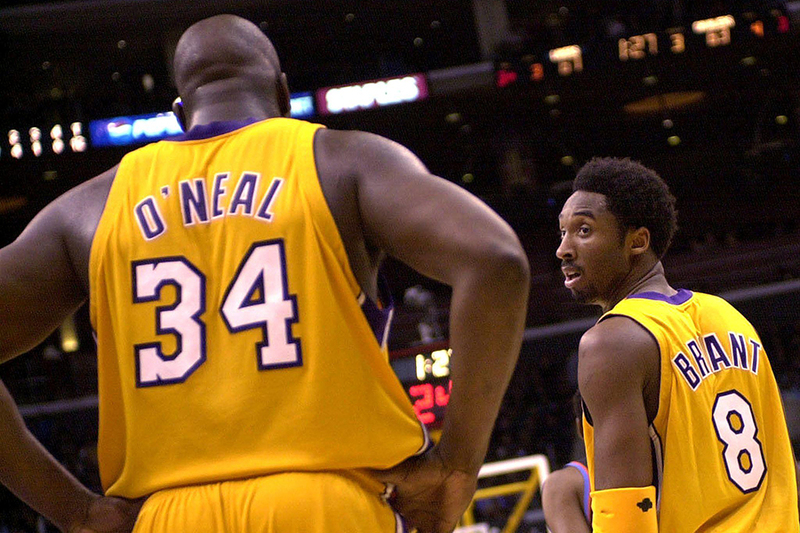 Knowing that he’s untradeable (because he makes almost $20 million per season) and knowing that Shaq is the one superstar in the league who actually WOULD retire, the Lakers tell him, “Okay, we’ll trade Kobe… but sign an extension with us first through 2006.” Shaq agrees. 2. Knowing they need to get back two All-Star caliber players (one guard, one forward) in return for the Next MJ, the Lakers start quietly shopping Kobe to one of the following teams: Dallas (for Nowitzki and Finley), Boston (for Walker and Pierce), Phoenix (Kidd and Marion), Vancouver (Bibby and Shareef), New Jersey (Marbury and a #1) and Seattle (Payton, Lewis and a #1). Phoenix and New Jersey decline. Seattle’s offer isn’t good enough. Dar Kommissar Stern blocks any thought of exiling Kobe to Canada. Boston thinks about it, thinks about it… and says no. But Dallas owner Mark Cuban knows that A) you have to give up something to get something, B) he’s getting the Next MJ and C) he’ll have the cap space to land Chris Webber over the summer as well. It’s a no-brainer. 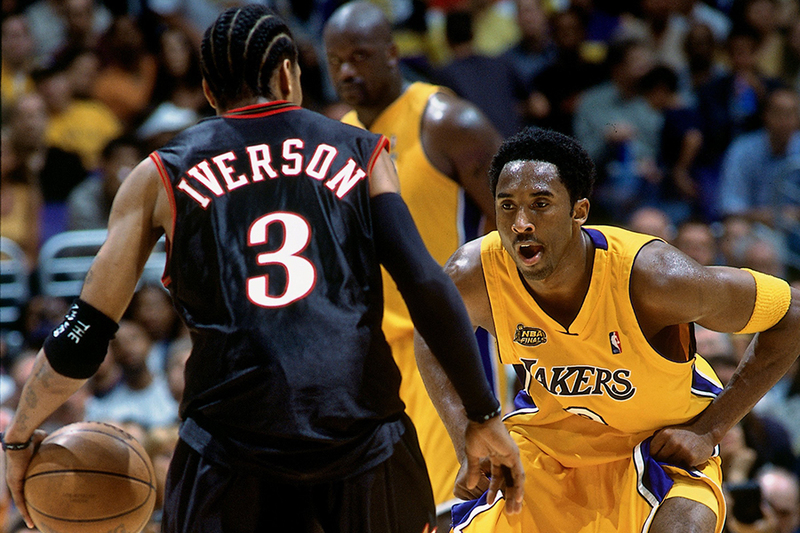 So he pulls the trigger… Dirk Nowitzki and Mike Finley to the Lakers for Kobe Bryant. Biggest NBA trade in 25 years. You heard it here first. As for the rest of the teams… who knows? We’ll find out what happened tomorrow at 6:00. Don’t get your hopes up. 1. Salaries matter. Would you rather be paying Shawn Marion $3 million for the next two years or Rasheed Wallace $40 million for the next three years? 2. Age matters… would you rather have Karl Malone for the next 3 years or Shawn Marion for the next 12? 3. Pretend the salary cap suddenly got expanded to $100 million per team and ask yourself one question: If Team A tells Team B, “We’ll give you Player X for Player Y,” does Team B do it or not? 4. Concentrate on degrees… for instance, neither Boston or Detroit would probably want a “Jerry Stackhouse for Paul Pierce trade,” but the Pistons would probably at least think about it, while the C’s would be thinking, “No f’n way!” That counts in the big scheme of things. 5. Make the list in reverse order, 25-to-1. That means if Rasheed Wallace ranks in at #16, players 1-thru-15 are all players about whom Portland would probably say, “We hate giving up ‘Sheed, but we can’t pass up that deal.” And they wouldn’t trade him for any of the players listed #17-25. Anyway, here’s my list of 25. Honorable mention: Dikembe Mutombo, Eddie Jones, Mike Finley, Glenn Robinson, Jalen Rose, Brian Grant, Mike Bibby, Theo Ratliff, Shareef Abdur-Rahim, Baron Davis, Andre Miller. 25. Jerry Stackhouse — Seems a little too focused on the scoring title. 24. Antawn Jamison — Scoring 26 a game on a bad team. 23. 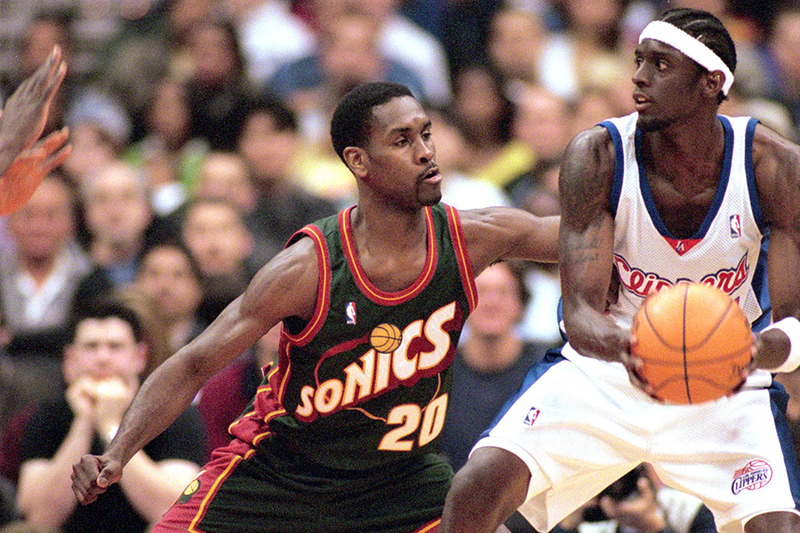 Gary Payton — Lots of miles on the odometer. 22. Darius Miles — Baby KG. 21. Ray Allen — Steady and solid. 20. Paul Pierce — Stock is rising. 19. Lamar Odom — Just enough of a head case that he scares you. 18. Elton Brand — Coming on lately. 17. Antoine Walker — More valuable to the C’s than other teams. 16. Rasheed Wallace — Just nutty enough that it hurts his value. 15. Shawn Marion — The Matrix. 14. Dirk Nowitzki — And he’s only 22. 13. Jason Kidd — Stock slipped just a tad. 12. Antonio McDyess — Breakout season. 11. Stephon Marbury — Will he ever be a team-first guy? The most underrated star in the league. Do you realize he leads the Rockets in points, rebounds, steals, assists AND free throw percentage right now? Vancouver gave him away two summers ago; that would have been the worst trade of the past decade had Richmond-Webber and Nowitzki-Traylor never happened. He’s ranked this high only because he means more to Utah than most players mean to any franchise. It would take a startling offer for them to trade him, even at his advanced age. Think about it… would the Celts have given up Larry Bird in the early-90’s? Of course not. Utah could only sell a Malone trade to their fans by getting one of the eight guys below for him. Ironically enough, he’ll probably get dealt this summer … no way he’ll remain in Canada after his contract expires in 2002. When the Kings deal him in a sign-and-trade this summer, he’ll be the most important player to switch teams in the NBA since Shaq moved to LA in ’96. Considering his age (29 next month) and all those “I won’t be playing for much longer hints” — as well as the fact that he’s just not playing as hard as he did last season — this seems like the right spot for the Diesel. Has any player accomplished more at such a young age? He’s leading the Magic in scoring (27 a game) and rebounding… he’s also one of the best defensive players in the league, a potential Pippen on that end… and he’s only 21. Just six months ago, they were ready to deal him to the Clippers or Detroit. Now? No player in the league means more to his team and his city. And when did this suddenly turn into a David Aldridge column? This seems like the right spot for the Next MJ, at least for now. His stock is about as low as it will be for the next ten years. I spent about 20 minutes debating “Duncan vs. Garnett” before tabbing Duncan, if only because a) his teams seem to win big games and b) if you look at Duncan’s supporting cast, it isn’t significantly better than Garnett’s supporting cast, yet San Antonio is a bonafide title contender and Minnesota is a second-tier playoff team. If I had to pick any team to win the title right now, I’d pick San Antonio… only because of Duncan. So he gets the nod. I will now light myself on fire.